57th Street is one of New York City's major roads, which runs east-west in the Midtown section. The block between 6th and 5th avenues is home to numerous high-end retail establishments and galleries. 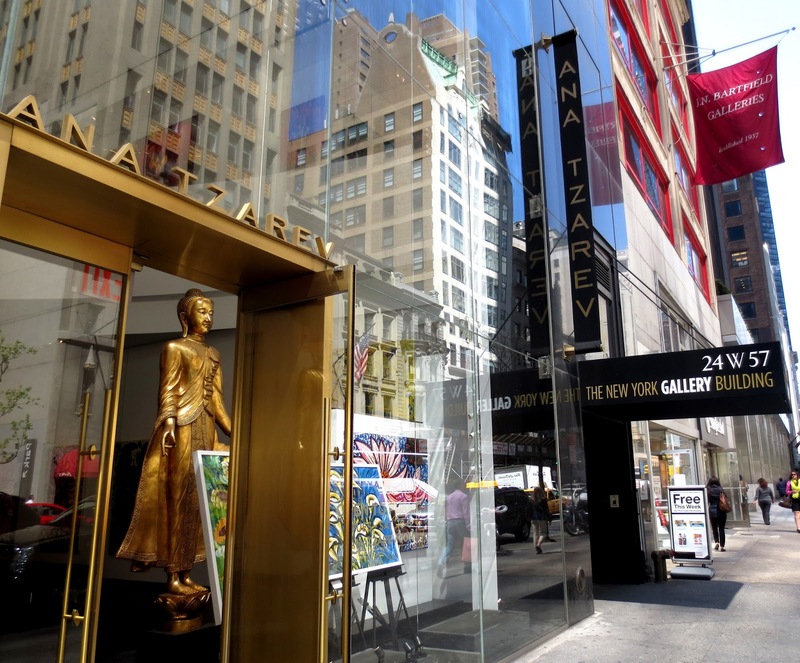 Five years ago in 2008 a new name appeared on the Gallery building on 24 West 57 street- Ana Tzarev. 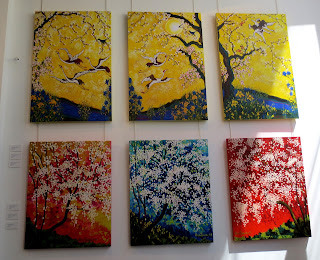 Richard Chandler, businessman from New Zealand helped his mom Ana to lease a gallery that sells her paintings. The price for 14,000-square-foot , two floors gallery is $2 million a year and a lease for 10 years was signed in 2008. Ana was born in Croatia in 1937. She studied Greek, Latin, Russian, English in high school in Split. She started out as a dressmaker and never had any formal art schooling. Ana married Robert Chandler in 1957 and moved with him to his native New Zealand, where they founded a successful New Zealand luxury department. Ana moved to Monaco in 1988. 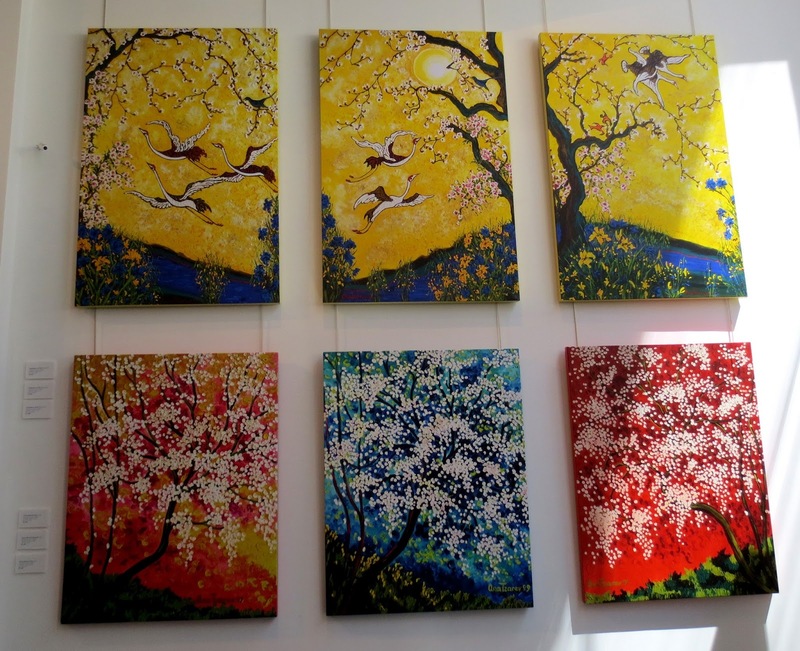 Ana started painting in 1993. 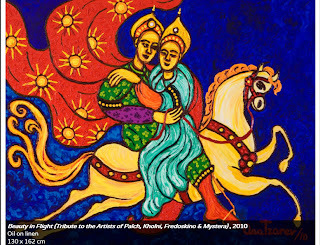 The ancestors of Ana's mother were Russian and Ana followed in the tradition of renowned Russian artists Bilibin and Kandinsky and created her collection Russian Fairytales based on the Russian Fairy Tales she grew up with. Her collection "Life of Flowers" developed from Ana's passion for flowers as a child. She spent years researching plants and travelled around the world studying flowers, including the tropical plants of Hawaii, wildflowers from Africa, sunflowers from Southern France and Japanese water lilies. Ana said: "My dream is for my flowers to act as beacons and rallying points across the planet- bringing people together on a global scale." 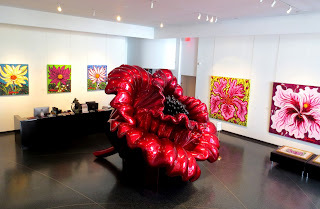 Glossy fiberglass flowers were installed in Shenzhen, China London in New York and will continue touring through 2014 with plans to install in Prague, Venice, Rome and Cannes festival. Thailand leading yacht building company helped the artist with the sculpture- it took a team of 20 specialists almost three months to carve the foam and fiberglass structure by hand. Ana took part in a lot of exhibitions all over the world - London, Monaco, Paris, Venice, Saint Petersburg. The Gallery is free of charge. There will be the opening reception of Ana Tzarev "Love & Peace" on Wedneday,29 May 2013. You can buy Giclées with the artist signature for $300 and higher.